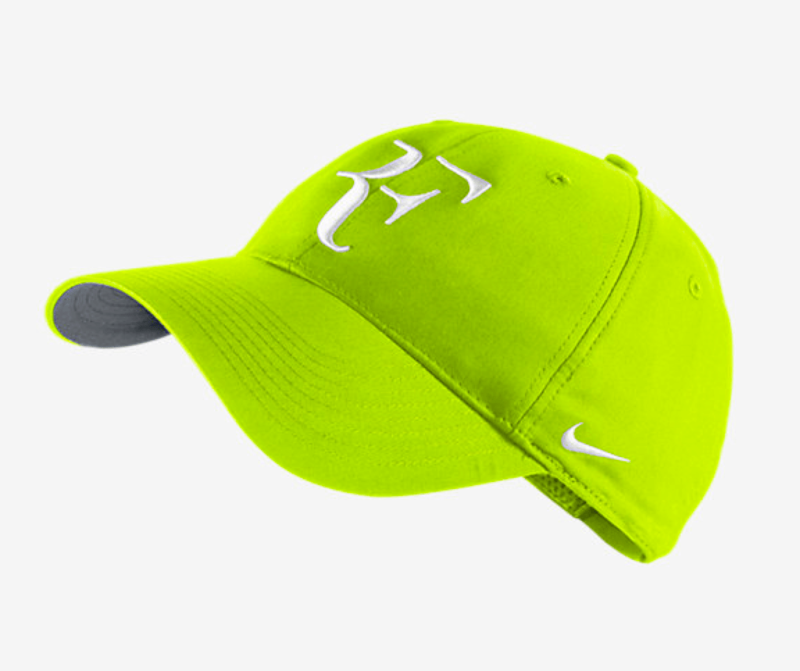 Roger Federer will sport bold colors at Melbourne Park, as he seeks his 18th grand slam at the 2015 Australian Open. 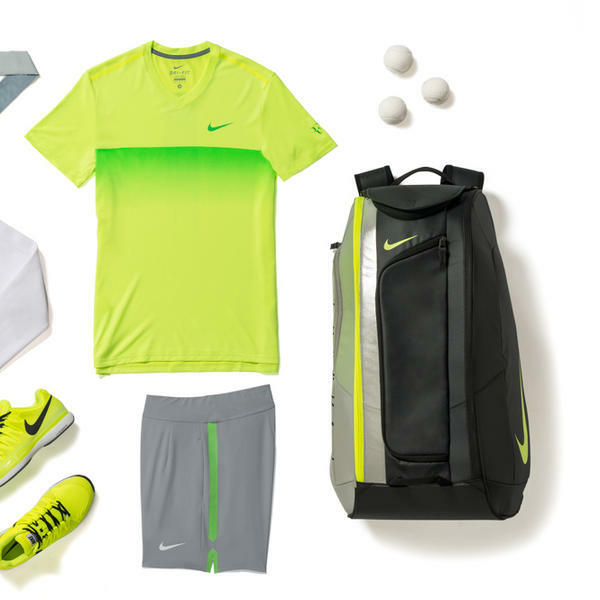 The Swiss maestro will feature a volt crew shirt with subtle green, grey shorts, volt Nike Zoom Vapor 9.5 Tour shoes, and a sporty white jacket. Coming off winning the Brisbane International title and his 1000th career match, the 33-year-old Swiss is in fine form, with plenty of motivation. 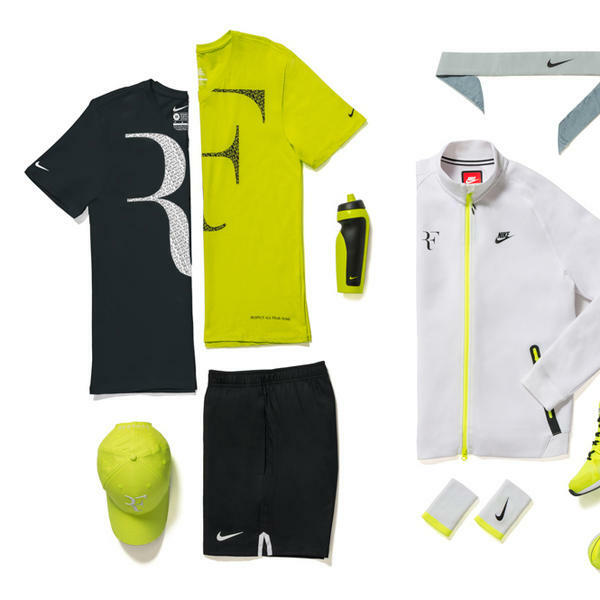 Check out Federer’s complete 2015 Australian Open Nike Kit, part of new gear from the Nike Spring 2015 line (Roger Federer Nike Outfits Collection). Current world No. 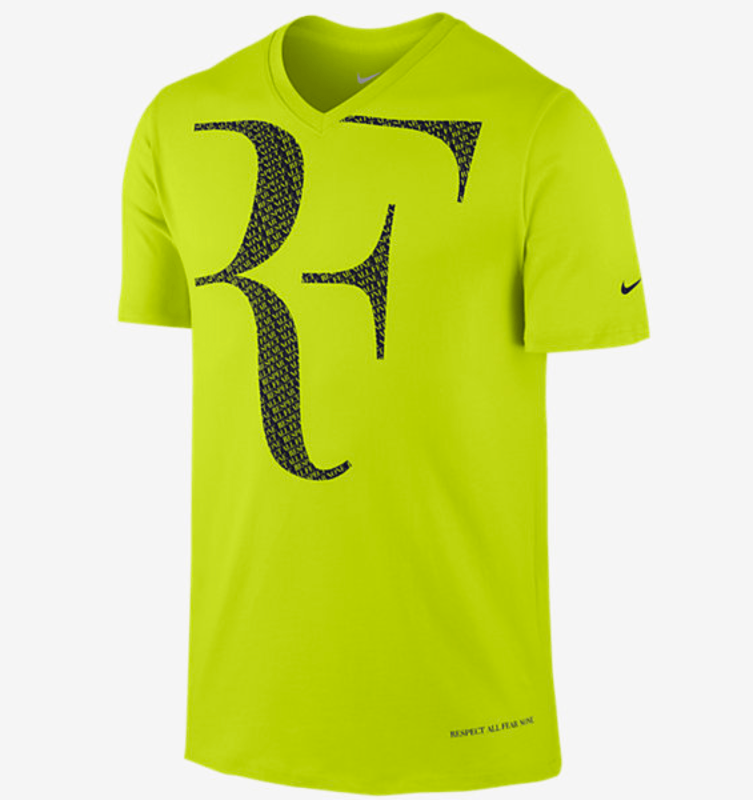 2, Federer looks to take strong 2014 form and his newly achieved 1,000-match wins milestone to the blue courts of Melbourne. 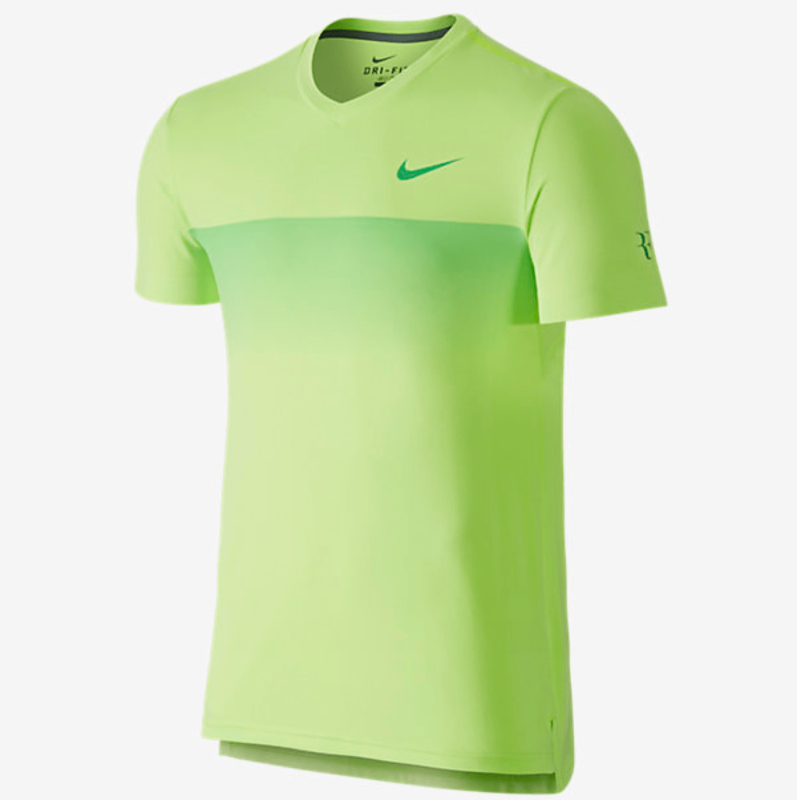 He’ll wear a bold Nike Premier RF V-neck crafted from Dri-FIT fabric to keep him dry, with engineered side hem vents to enhance breathability. 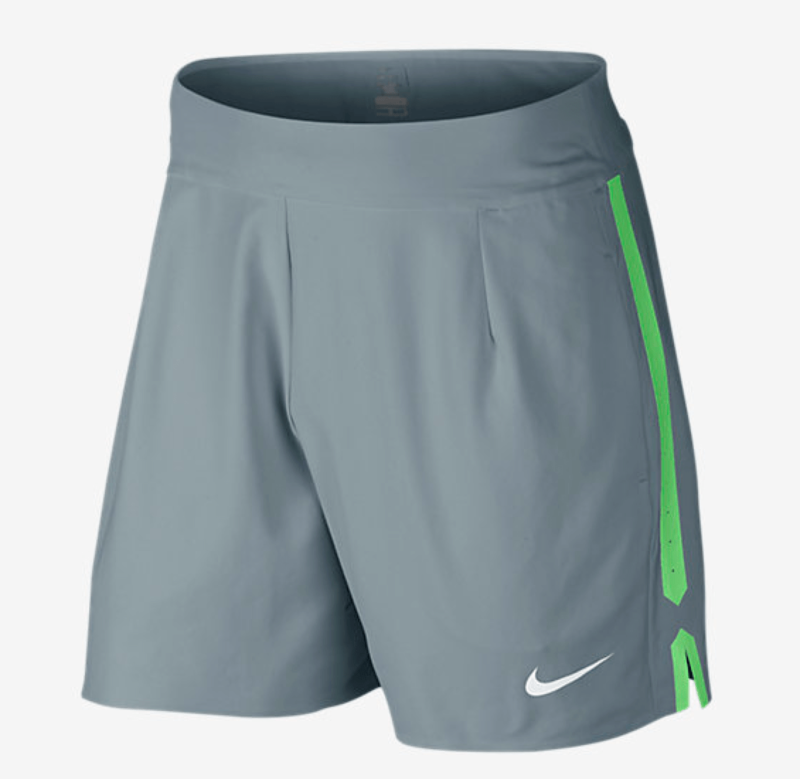 His shorts are the Nike Gladiator Premier 7″ that are also Dri-FIT for moisture management. They have laser-perforated side panels for breathability and a flex waistband for comfort. 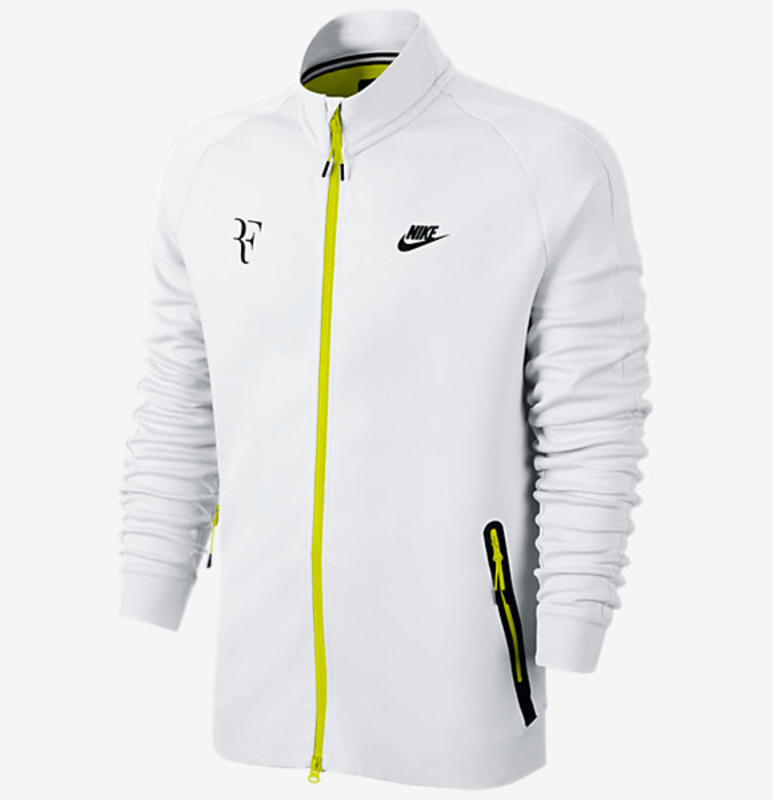 Designed specifically for pre- and post-match comfort, the Nike Premier RF Jacket is made from a Nike Tech Fleece that utilizes the body’s heat for efficient warmth. The jacket has perforations in key sweat zones to enhance breathability while a ribbed cuff and hem provide a snug, performance fit. 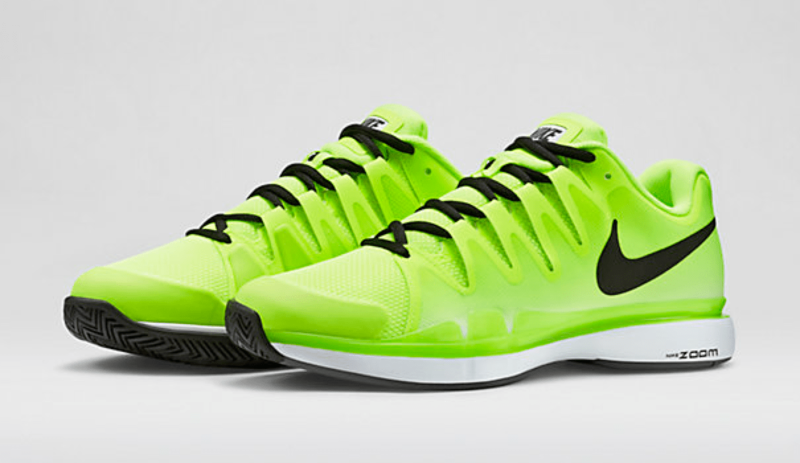 Federer’s footwear of choice is the Nike Zoom Vapor 9.5 Tour for a full speed attack. Features include a textile upper for lightweight breathability, an internal Dynamic Fit system that wraps the foot for optimum stability and Nike Zoom in the heel for super responsive cushioning and a high performance ride. Watch full coverage of the 2015 Australian Open on FedFanTV.